According to recent court documents, Johnson & Johnson, the parent company of DePuy Orthopaedics, is exposed to more than 9,500 lawsuits over the DePuy Pinnacle hip device. The 9,500 plus plaintiffs allege that the DePuy Pinnacle metal-on-metal design is defective and prone to premature failure and metallosis caused by the release of metal trash as the metal components grind against each other. The DePuy Orthopaedics subsidiary is exposed to two separate gigantic multidistrict litigations, known as MDLs. The Depuy ASR lawsuits are centralized in the U.S. District Court for the Northern District of Ohio. The DePuy Pinnacle lawsuits are centralized in the U.S. District for the Northern District of Texas, Dallas division. There more than 8,000 ASR metal on metal lawsuits pending in the U.S. District Court for the Northern District of Ohio. There are now over 9,500 DePuy Pinnacle metal on metal lawsuits pending in the U.S. District for the Northern District of Texas, Dallas division. Defects With DePuy Pinnacle and ASR Hips? These metal-on-metal hip replacements are composed of a metal femoral component (thigh bone) that swivels in a metal acetabular cup fixed in the pelvis, essentially a ball and cup configuration. Plaintiffs allege that both implants release cobalt and chromium metal fragments locally into the hip joint leading to swelling, pain, fluid build-up and destruction of the hip joint and hip muscles. This destructive process can cause the metal components to loosen and lead to early failure. 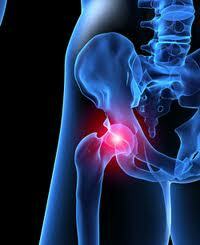 Unfortunately for many patients, they will have to face risky hip revision surgery sooner rather than later. The DePuy Pinnacle hip system was introduced in 2001, and the metal-on-metal device was used as the basis for the approval of the DePuy ASR hip implant in 2005. Johnson & Johnson obtained “fast track” 510k approval by declaring that the DePuy ASR and DePuy Pinnacle metal-on-metal hips have “substantially similar” designs. The 510k approval process is extremely controversial and allowed hip products to be released on the market without the usual stringent pre-market approval process,(PMA), by the FDA which is standard for medical devices. The government regulators essentially gave up in the process, ceding their oversight responsibility to corporate interests and big business. In their rush to put profits over the health of thousands of American patients, many hip manufacturers followed Johnson and Johnson's lead and flooded the market with allegedly poorly constructed metal hip implants with little or no regulatory oversight. Metal on Metal "Land Grab"
According to many experts, this modern day land grab mentality is largely responsible for today's debacle involving the whole metal on metal hip design. In August 2010, DePuy issued an ASR hip recall after the hip manufacturer revealed that post-marketing data suggested that about 12-13% of the implants were failing within five years. Many experts have disputed that estimate, and have suggested that the DePuy ASR failure rate is significantly and alarmingly higher. Other metal on metal manufacturers are also under fire for allegedly selling defective hip implants without adequate testing. Three other multidistrict litigations (MDLs) have been established for all Stryker ABG and Rejuvenate hip lawsuits, Zimmer Durom Cup and Wright Medical Conserve Cup lawsuits. Only three DePuy ASR cases have reached a jury, a California case resulted in a plaintiff win of $8.3 million damage award, an Illinois state court resulted in a defense verdict and an Oklahoma state court verdict for $2.5 million. According to experts, Johnson and Johnson will have no choice but to ultimately settle these defective hip cases because the cost of defending over 20,000 individual lawsuits will cripple the company and drag on potentially for years. It will boil down to an economic business decision by the corporate pencil pushers, to settle and move on. The only factors to consider will be how much and when.